Randy Beck joined the University of Georgia School of Law faculty in 1997 and was named associate dean for academic affairs in 2018. He has held the Justice Thomas O. Marshall Chair of Constitutional Law since 2011 and was the 2016-17 Garwood Visiting Fellow in Princeton University’s James Madison Program in American Ideals and Institutions. Beck’s constitutional law scholarship includes: “Qui Tam Litigation Against Government Officials: Constitutional Implications of a Neglected History” in the Notre Dame Law Review (2018); “Twenty-Week Abortion Statutes: Four Arguments” in the Hastings Constitutional Law Quarterly (2016); “Transtemporal Separation of Powers in the Law of Precedent” in the Notre Dame Law Review (2012); “Self-Conscious Dicta: The Origins of Roe v. Wade’s Trimester Framework” in the American Journal of Legal History (2011); “Gonzales, Casey and the Viability Rule” in the Northwestern University Law Review (2009); “The Heart of Federalism: Pretext Review of Means-End Relationships” in the University of California-Davis Law Review (2003); and “The New Jurisprudence of the Necessary and Proper Clause” in the Illinois law Review (2002). His law and religion scholarship includes the chapter “The Biblical Foundations of Law: Creation, Fall, and the Patriarchs” in Law and the Bible: Justice, Mercy and Legal Institutions (InterVarsity Press, 2013) (with D. VanDrunen) and “God the Judge and Human Justice” in the Journal of Law & Religion (Cambridge University Press, 2016). A dedicated teacher as well as scholar, Beck has twice received the C. Ronald Ellington Award for Excellence in Teaching and has also been honored by the graduating class on four occasions as the recipient of the John C. O’Byrne Memorial Faculty Award for Furthering Student-Faculty Relations. 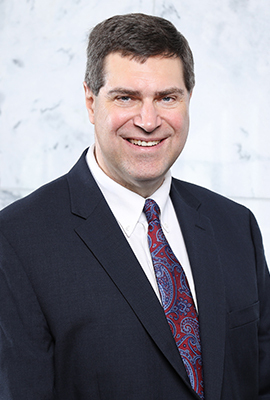 Prior to his law school appointment, Beck worked for more than five years as a general litigation associate with the law firm Perkins Coie in Seattle, Washington. He also has government experience from service as an attorney-advisor in the U.S. Department of Justice Office of Legal Counsel. Beck has served as a judicial clerk for U.S. Supreme Court Justice Anthony M. Kennedy and Judge Patrick E. Higginbotham of the U.S. Court of Appeals for the 5th Circuit. He graduated first in his class at Southern Methodist University School of Law and earned his undergraduate degree from Baker University. The Forest And The Trees: What Educational Purposes Can A Course On Christian Legal Thought Serve?, 56 J. Cath. Legal Stud. 9 (2017). Qui Tam Litigation Against Government Officials: Constitutional Implications of a Neglected History, 93 Notre Dame L. Rev. 1235 (2018). God the Judge and Human Justice, 32 J.L. & Religion 33 (2017). Twenty-Week Abortion Statutes: Four Arguments, 43 Hastings Const. L.Q. 187 (2016). Overcoming Barriers to the Protection of Viable Fetuses, 71 Wash. & Lee L. Rev. 1263 (2014). Prioritizing Abortion Access Over Abortion Safety in Pennsylvania, 8 U. St. Thomas J. L. & Pub. Pol'y 33 (2013). State Interests and the Duration of Abortion Rights, 44 McGeorge L. Rev. 31 (2013). Transtemporal Separation of Powers in the Law of Precedent, 87 Notre Dame L. Rev. 1405 (2012). Fueling Controversy, 95 Marq. L. Rev. 735 (2012). Self-Conscious Dicta: The Origins of Roe v. Wade's Trimester Framework, 51 Am. J. Legal Hist. 505 (2011). Gonzales, Casey and the Viability Rule, 103 Nw. U.L. Rev. 249 (2009). The Essential Holding of Casey: Rethinking Viability, 75 UMKC L. Rev. 713 (2007). Christian Faith and Political Life: A Dialogue, 41 Ga. L. Rev. 65 (2006) (with Jason Carter). Relaciones de medios y fines y el Poder Legislativo: Una perspectiva desde los Estados Unidos, La Ley Supplemento Actualidad, p.2 (Oct. 7, 2004) (Argentine Law Journal) (discussing U.S. Supreme Court's use of means-end scrutiny to restrict legislative power; translated into Spanish by D. Latimer, M. Rojo and P. Esteban). Race and the Georgia Courts: Implications of the Georgia Public Trust and Confidence Survey for Batson v. Kentucky and Its Progeny, 37 Ga. L. Rev. 1021 (2003) (with George Dougherty and Mark Bradbury). The Heart of Federalism: Pretext Review of Means - End Relationships, 36 U.C. Davis L. Rev. 407 (2003). The New Jurisprudence of the Necessary and Proper Clause, 2002 U. Ill. L. Rev. 581 (2002). The False Claims Act and the English Eradication of Qui Tam Legislation, 78 N.C. L. Rev. 539 (2000). Presidential Defiance of "Unconstitutional" Laws: Reviving the Royal Prerogative, 16 Const. Comment. 419 (1999). "The Biblical Foundations of Law: Creation, Fall, and the Patriarchs” in Law and the Bible: Justice, Mercy and Legal Institutions (InterVarsity Press, 2013) (with D. VanDrunen). "The False Claims Act and the English Eradication of Qui Tam Legislation" in The Civil False Claims Act and Qui Tam Enforcement (ABA-CLE Publications, 2001). Case Selection in Three Supreme Courts: A Comparative Perspective (International Research & Exchanges Board, 2006) (with A. Nagaeva) (White Paper). Excerpt published in 41 Advocate 3 (Fall 2006/Winter 2007) .